At the Propelify Innovation Festival 2017, Taiwan Startup Stadium will present the Rock the World Award. In the spirit of Taiwan’s efforts to rock the world, this award celebrates internationally-minded teams with brilliantly executed startup ideas from anywhere across the globe. All startup teams registering for Startup Competition 2017 at Propelify Innovation Festival by May 1st are eligible, and no additional registration is required. Based on a startup's global potential and ambitions, Taiwan Startup Stadium will award and announce a winner at Propelify Innovation Festival 2017. We look forward to meeting you - Let's propel! 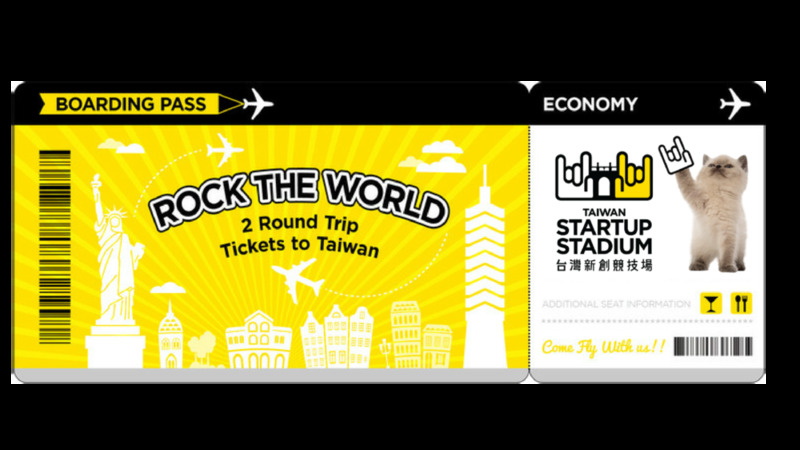 * Prize details & conditions: Travel to Taiwan is a mandatory condition for accepting the Rock the World Award. Economy class air tickets & local accommodations will be arranged by Taiwan Startup Stadium, and all travel must be completed by the end of November 2017. Additionally, prize recipients will be asked to submit their reflections (in writing or video) about the trip within 1 month of completion of travel.